Are you finally fed up with the insanity of the benefits status quo? Aren’t you exhausted by unsustainable benefit plan increases year after year? Aren’t you angry with having to use employee raises to pay the higher healthcare premiums? Aren’t you frustrated that the full value of your benefits plan is never communicated to you employees? Aren’t you ready for a new, next-generation way to buy insurance and do benefits? We work with company executives to break through the benefits status quo to end the insane annual cycle of “quote the plan & get a rate increase” that works for all the other parties…but not for you, not for your cash flow and P&L. 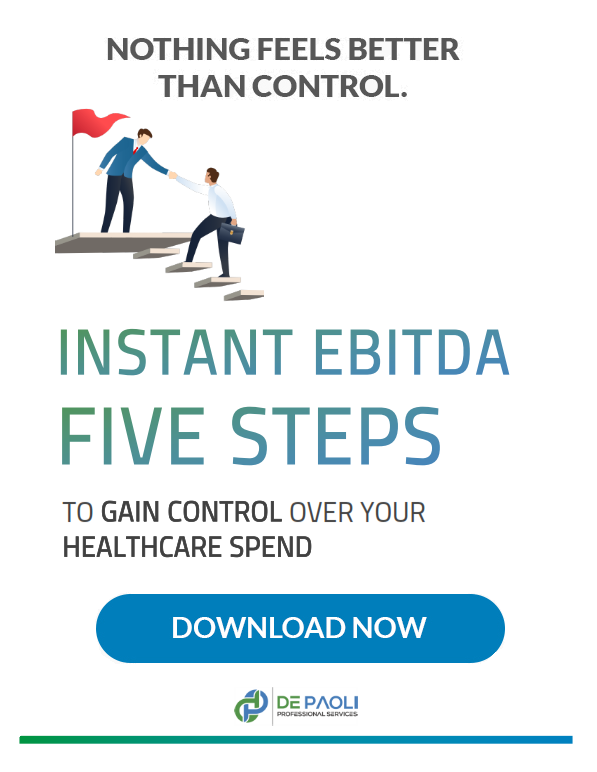 With our help & guidance, companies like yours can take control of your healthcare budget, actually reducing your healthcare costs, capturing EBITDA trapped in your benefits budget, and increasing the ROI on your benefits by communicating the value of your benefits package to your employees. The most sophisticated companies do not put their benefits in SG&A as an OpEx. Rather, working with their benefits adviser, they treat and manage benefits as a CapEx that produces a measurable ROI. We treat your healthcare spend like you treat every business unit in your company: managing your healthcare supply chain for superior medical outcomes at the lowest cost. In addition, we provide your staff and employees an effective and personal human touch to help them utilize the plan most effectively and not waste your plan dollars. We are a different type of benefits firm. We sit on your side of the table. We deliver you bottom-line results. Or you keep our fees. Few benefits professionals today understand the financial side of a company’s benefits program. Allison De Paoli is one of the few who knows how to manage your benefits budget to reduce healthcare costs, which will drive new EBITDA to your bottom line. Allison and her firm are members of the exclusive NextGeneration Benefits Network (NBN), a national alliance of elite independent benefits firms that are successfully challenging the benefits and healthcare status quo to improve benefits for employees while reducing the costs for employers. As a NBN member, Allison and her team can access the vast experience, expertise, and resources of her partner firms. She is a contributing author of the new book, BREAKING THROUGH THE STATUS QUO: How Innovative Companies Are Changing The Benefits Game To Help Their Employees AND Boosting Their Bottom Line. Written with 30 of her fellow NextGen Benefits Network members, the book lays out the next-generation, real-world strategies and tools that Allison and her colleagues are using to reduce the cost of benefits while increasing a company’s ROI on its benefits investment. When not working, Allison enjoys using her professional skills in the non-profit arena, currently serving on the San Antonio Association of Health Underwriters Board, The Family Service Association Board, The Blood and Tissue Center Foundation Board, as a Past President for the National Association of Women Business Owners and Executive Committee member of the SA Antonio Cancer Council.